Though residents pay a pretty penny at Century Colonial Park and Gallery 1701, some say they’re being left high and not dry. 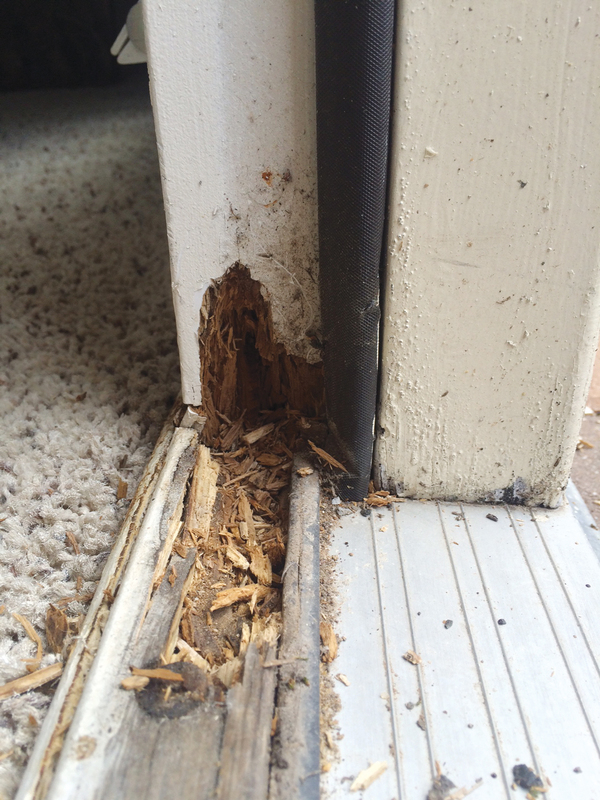 Rotted door jambs and patched holes in balcony ceilings are among the obvious damages. Photo by Jeff Prince. “Location, location, location.” That old adage fits Century Colonial Park Apartments to a T. Or to a tee box. This 350,000-square-foot complex on Rogers Road offers 257 units within easy walking distance of Colonial Country Club, TCU, the Fort Worth Zoo, and plenty of restaurants and stores. A decent left fielder on most any high school baseball team could throw a rock from the apartment leasing office and make it splash in the nearby Trinity River. Directly across Rogers Road sits Gallery 1701 Luxury Apartments, offering 148 units in a 290,000-square-foot building. Both complexes were built between 2008 and 2009 and are owned by Centennial Colonial Park LP of Atlanta, Georgia. The complexes are managed by First Communities, an Atlanta-based company that was founded in 1978 and, according to its website, has managed more than 200,000 units in 1,000 communities in about 20 states. Century Colonial Park is appraised for tax purposes at $32 million, Gallery 1701 for $25 million. The complexes resemble large, attractive dormitory halls with stylish architectural touches such as fountains and, in one instance, a colorful, multi-paned glass wall. Advertised amenities include courtyards with patios, hardwood floors, a swimming pool, fitness center, and 24-hour maintenance. The complex, however, is also located next to the Union Pacific Railroad’s Davidson Yard on Rogers Road. The 350-acre mass of concrete, pavement, dirt, gravel, and railroad tracks is one of the state’s largest rail yards and part of downtown’s sprawling rail system that has been evolving since the late 1800s. Nowadays, some apartment tenants next door are complaining that rushing waters during heavy rainstorms run off the rail yard and toward the west side of the apartment complex. 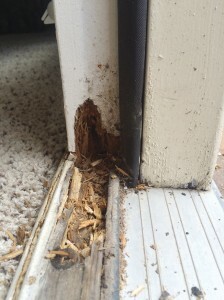 Mud-covered sidewalks, water seepage underneath doors and carpets, rotted door jams and frames, and mold and termite damage are just some of these tenants’ alleged problems. These renters also complain about poor maintenance, broken security doors, and faulty fire alarms. Online reviews, including ones found on Century Colonial Park’s own Facebook page, are plentiful. And blistering. Comments relayed to me in person seemed equally serious. Rotted door jamb. Photo courtesy of tenant. 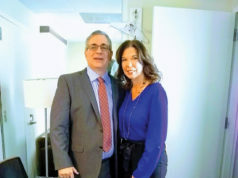 “When you are spending money for a high-end place, you expect a little quality,” said Rick Froehlich, who moved to Century Colonial in April and pays $830 a month for a 400-square-foot efficiency apartment. Two-bedroom apartments at Century Colonial Park can lease for upwards of $2,000 a month. The alarm system, Froehlich recalls, has malfunctioned at least four times since he has lived there, forcing residents to climb out of bed, stumble outside, and mill around until the problem is fixed. That has taken hours, he said. 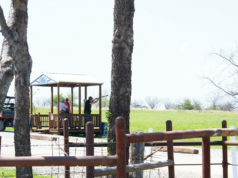 “That is kind of what I bought into, a place that’s secure,” Froehlich said. But some residents have complained that some security doors leading to hallways and to the garage are useless because the doorframes are damaged or rotted, making the doors difficult to keep closed. A look around the other day seemed to reinforce Froehlich’s observations. I opened several security doors that were unlocked or attached to damaged frames that made the doors easy to open even when locked. Froehlich also said homeless people have sneaked into the garage to sleep during cold nights. 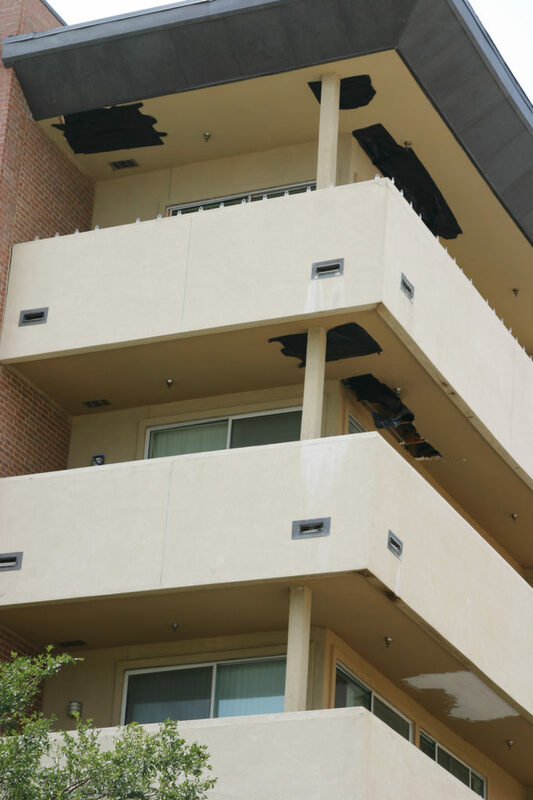 Rain makes its way into some residents’ first-floor apartments by oozing underneath double patio doors. One resident, who asked to remain anonymous to protect his privacy, recently pointed to mold on his walls and what appeared to him to be termite holes. He asked to be let out of his lease early and was told he would have to relinquish the equivalent of four months rent, he said. He hired a lawyer, who told him to post pictures of the damage on the complex’s Facebook page. The corporate office’s lawyers agreed to let him out of his lease without penalty if he removed the pictures, the tenant said. The man complied and moved out last week. I visited the apartment leasing office on two occasions to talk to the manager about the complaints and allegations of poor maintenance. The first time, I was told to come back in an hour. When I returned, a woman who introduced herself as a corporate manager told me to e-mail my questions to the corporate office in Atlanta. In Froehlich’s first-floor apartment, water also leaks through a window and his ceiling, he said. During rainy weather, he keeps his computer equipment dry by moving his desk to the center of his room. Froehlich said he is sticking to his year-long lease because Century Colonial “charge you an abundant amount to get out” early. I walked into the leasing office at 10 a.m. last Friday, introduced myself to a leasing agent as a Fort Worth Weekly reporter, and asked to speak to the manager. He glanced at a woman sitting at a table in an adjacent room with the door open. She wore a bright yellow dress and was looking up at an elderly couple standing beside her. These relatives of a young female tenant appeared to be concerned about something. After the meeting ended, the manager and another manager stepped into a different office. The leasing agent I had first spoken with was preparing to take the grandparents on a tour of units. He told me I could speak to the manager, but when I approached her door, the woman in the yellow dress said, “We’ll be right with you, sir” and closed the door. I walked over to the grandparents standing nearby. “How are y’all doing?” I said. “How are you?” Grandma replied. “They’re not telling the truth,” Grandma said. “Are you having problems, too?” Grandpa said. “You mean like a lock not being repaired for three months?” Grandma said. They left together, and I went to strike up a conversation with the receptionist. As we were talking, I noticed another employee in an office waving me back. As I approached, he pointed me to the manager’s office next to his. I started to knock on the door, but the manager in the yellow dress opened it up first. I killed an hour. The Trinity Trails stretch past the complex, and I watched people ride bicycles, jog, and walk dogs on the concrete path. An apartment resident told me he gasses up his car only once a month because he can walk and bike most anywhere he needs to go. I returned to the leasing office after an hour. The manager invited me into her office and introduced me to Jennifer Burks. “Jennifer is actually the manager for the property,” the manager said. Burks handed me a business card with Century Colonial Park and Gallery 1701 printed at the top, and the leasing office’s address and phone at the bottom. A blank space was left in the middle for a name. Burks had handwritten in her name. Several residents said they are typically told to call the corporate office in Atlanta to report problems. Calls to corporate are seldom returned, the tenants said. I explained to Burks the problems being reported to me by residents, asked if the accusations were true, and, if so, what was being done. 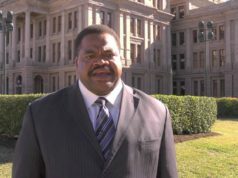 Burks started to respond, but the manager interrupted. I e-mailed a list of questions to Burks but have yet to hear back from Corporate Atlanta. Another great article Jeff. I’m so glad that you would rather protect a few people from renting an apartment at an over priced complex and saving them a few bucks. That’s great community spirit and so wonderful you are looking out for the public. Too bad you can’t bother with stories that could protect students and employees at FWISD and possibly save a city millions of dollars and really show you’re a reporter and not a hack. I gave you information on the abusive former principal at the YWLA that outed gay students to their parents and that she was promoted to a Director’s job instead of being fired for failing to protect the students under her care. I even told you where you could get back round information. I guess that was too much of a real public service for you to report on that. What a pity that you have decided to write this kind of article instead of one that actually could help thousands not just a small few. Well Jeff….what do you say? What the hell? Cat got your tongue? I am a current tenant and to make a long story short there is definitely mold growing in my A/C ducts and there are obvious signs of cover-up in my apartment. Management’s response to my complaint was to sloppily paint over my vents. Management has been dismissive and I am beyond furious. I have lived here for a very short time and my daughter and I are already starting to have health problems that I suspect are a result of the mold. Please help! I’ve never felt so scammed in my life.